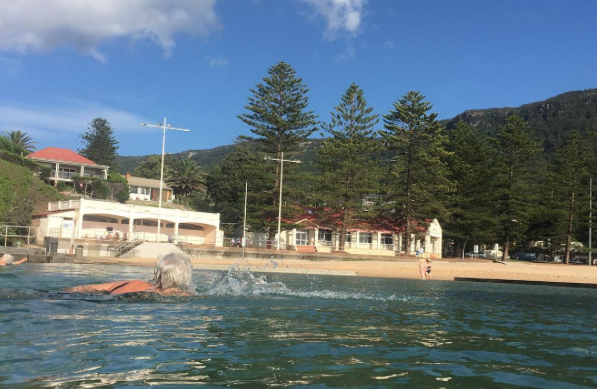 Work on the final stage of Austinmer Ocean Pool has been placed on hold until October. ‘Daymakers’ were to be used, starting tonight, so construction could be carried out when tides were at their lowest- in the early hours of the morning. However Council says these works have now been postponed for safety reasons. A detailed safety review determined the lights couldn’t be placed so as not to create blind spots and cast shadows which means there is a risk to Council contractors. Wollongong City Council’s Director of Infrastructure and Works, Mike Hyde, says it’s now believed optimal safety can’t be achieved. “The reason night works had been scheduled was to take advantage of the super low tides (below 0.3m)which start tonight and end early next week,” he says. “This would have allowed the contractor to install three precast concrete panels to complete the eastern wall. “The contractor has now indicated they hope to complete this work during the next low tide window during daylight hours in mid-October, subject to tide, sea and swell conditions.